Discussion in 'Trench Art' started by Skipper, Oct 27, 2008. 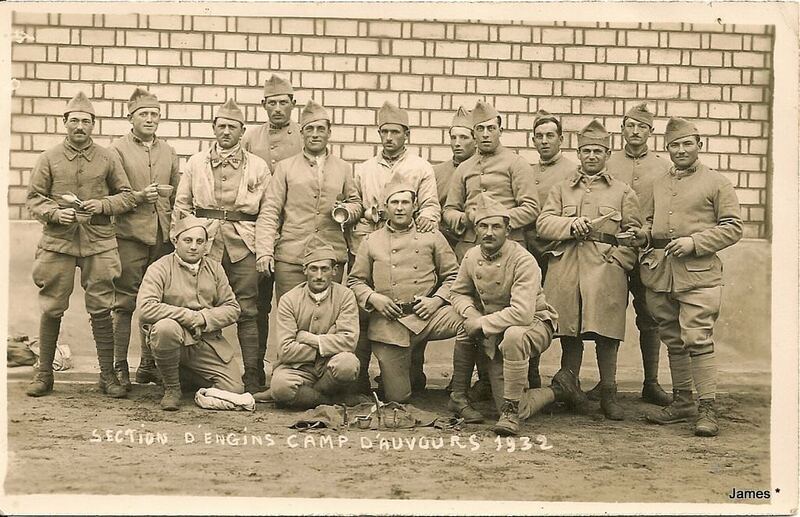 This is a 1939 dated trench art from a Pioneer soldier (Regiment du Génie) based at Rilley , near the Swiss Border . The area was rather quite until June 1940 , so the artist made this out of an oak beam. 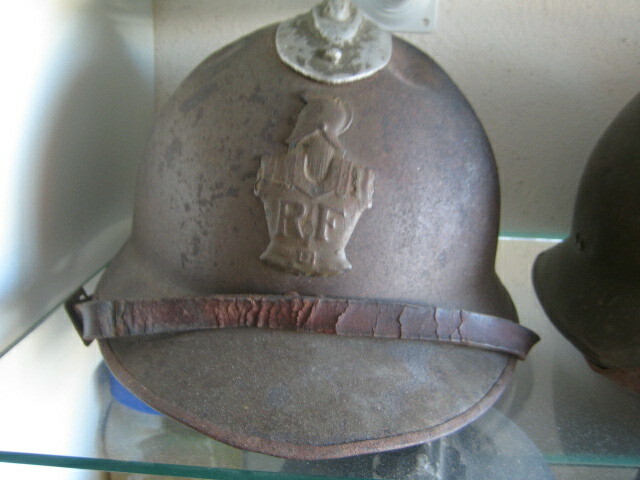 It is his helmet with the local church (see now and then) and a crest made with three Pioneer axes. Did this one go unheeded? I somehow missed it. Thanx for bringing it back, Skipper!! Your welcome Kai, I sometimes think about posting this in the big militaria thread, but this clearly belongs to the trench art section . You should also check out the Gemran militaria thread and the Adrian helmet sections. I add some great items there on a regular basis and not many people actually go there. Nice collection you got there Skipper, although I must admit I like the trench art Shells more than the woodwork. But I was wondering how sure are you that all shells are trenchart, I sold a shell a couple of years back that was made post war. Overhere it was very common fore folks to have crafted shells or parts of it converted in the most stange houshold objects (ashtrays out of shells decorated with .50 bullets and so on) at home. Anyway, fakes are not common, so you be can be proud of your unique collection of Trenchart ! Geen dank ! Where did you pick up the Dutch language so fast ? A Maquisard's knife. This was very easy to conceal when folded but efficient enough when needed . I bought it from an antique dealer on the Atlantic coast near Royan. 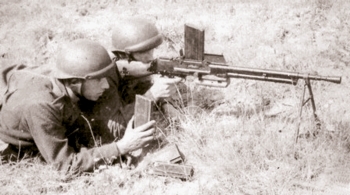 It represants a gunner with the French M-24-29 machinegun. The little glass jar is missing. This little FT-17 also comes from a mess ink pot. That's really cool. I know, very eloquently stated. In fact it's only a part of it. They could be personnalised with a private, a gunner, a tank, an aircraft etc... according to the soldier's speciality. Sometimes kids took the tanks away from the pot, probabably to use them as toys. Mine was used as bookmark when I bought it. Skipper, You have a very nice collection congratulates! Thanks Commissioner, I try to upgrade it whenever I can. I picked up this beautiful box yesterday. It is a great quality snuff box made out of 75mm shell case. it represensts birds on a cherries tree and symbolises Summer = warmth, hope and peace . I also went to a garage sale and picked up this beauty: and ink pot and two letter openers and a shell head . Note the velvet decoration and horse shoe shaped rack .